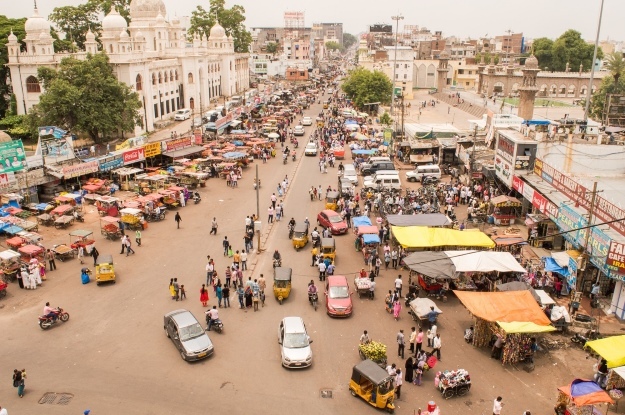 Due to its size, it can be challenging to travel throughout India, especially if you factor in the dramatically high population density in the cities which give a new meaning to rush hour traffic! You will want to explore as much of the country as possible during your holiday to India and to do so, you will need to know how to get around the country. Fortunately, there are a wide variety of options available to you. From tranquil ferries gliding along waterways, to hair-raising thrill rides sat atop a rickshaw or motorbike, have a look at how you can get from A-B in India. Travelling by train in India is one of the best experiences you could have. The variety on offer gives you the perspective of all walks of life in this beautiful country. Unlike most countries which have just two class types for trains, India has seven. AC First (1A), AC 2 Tier (2A), AC 3 Tier (3A), First Class (FC) and Sleeper Class (SL) are the long distance classes. AC Chair Car (CC), Second Class Chair Car (2S) and General Compartments (GS) are for short journeys. Trains are certainly some of the most popular modes of transport amongst Indians, particularly as they are so diverse with pricing. The rail network here is the second largest in the world, and it allows you to get around the entire country. You can venture to the mountainous north, or use inner-city trains to get around the mega-cities like Mumbai on the three basic types of passenger train in India: inner-city, super-fast and passenger. Super-fast rail journeys will include air-conditioned carriages in more comfort, while the passenger trains are the slower, cheaper alternatives. You can check the timetables and availability of trains on the Indian Railway website or through private sites like Clear Trip. As we have mentioned, trains are very popular, which means that tickets often sell out very quickly. If you are planning on using a train on your holiday to India, book well in advance. If you are moving around a lot then consider the Indrail Pass, which is a discount ticket that allows for unlimited travel over a determined number of days. If for example you knew you were spending 10 days in India, you could book a 10 day, air-conditioned chair car. Or whatever is to your taste. Booking early and securing your tickets before you travel will help you to avoid the sometimes monstrous queues that worm their way around rail stations. At the very top of the scale are the luxury trains. The Palace on Wheels for example, was a joint venture between Indian Railway and the Rajasthan Tourism Development Corporation in a bid to promote Rajasthan as a travel destination. Five trains make up the fleet, with twelve journeys taking travellers across a number of major tourist destinations in India. If you want to treat yourself this could be the way to do it. Alleviating the hassle of accommodation, food and travel as these all-inclusive trains carry you through some of the most beautiful parts of the country. India is a huge country. It isn’t like the UK where you can bite the bullet and jump in the car for a long road trip up-country, there may come a time where you have to consider flying to your next destination. Flights from Delhi to Chennai take less than three hours, but could take 36 hours on a train. For really making the most of your holiday to India you will perhaps want to fly, allowing you to see more in a shorter amount of time. There are a number of domestic airlines running throughout the country, including but not exclusive to: Air India, Air Pegasus, IndiGo Airlines, Air India Express. The second most popular mode of transport in India, buses are a great and cost effective way of travelling short distances. 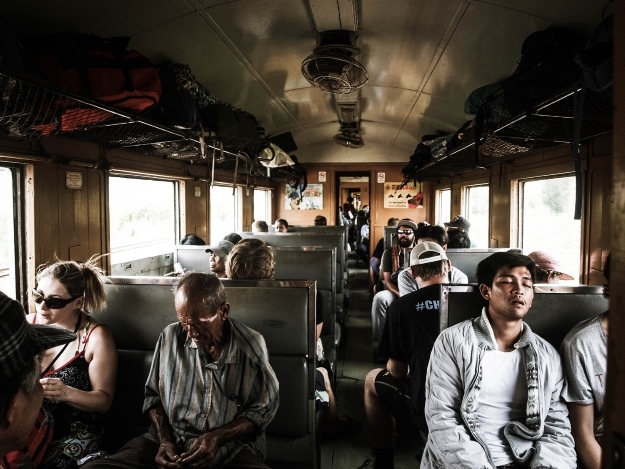 For the journeys that can’t be covered by train, buses are the go-to, particularly in more rural parts of the country and like trains, there are different classes. You can opt for a simple trip which will set you back just 100 rupees (£1.17) for a 5-6 hour journey, or upgrade for a slightly higher cost. If you simply need to get from A-B and are willing to be stuffed into the back amongst a crowd of people and luggage, with a chorus of the honking horns playing as the soundtrack to your journey, then by all means, book a bus ticket. You certainly won’t forget it in a hurry. 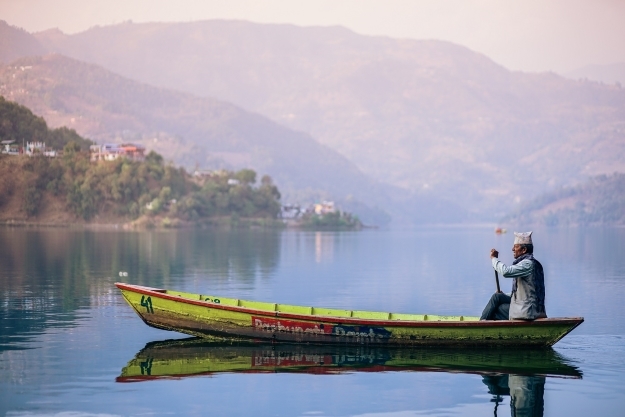 India’s waterways are some of the country’s most stunning natural landscapes. Take Kerala for example, the stunning rivers and tributaries unlock parts of the area that are simply not accessible in any other way aside from a boat. You can jump on the regular passenger service vessels to Kerala from Kollam, Alappuzha and other stops, or take more scenic trips. Kolkata, Chennai and the Andaman Islands are all interlinked by rivers and boats that ferry visitors and locals between them. You can drive through India, of course, but it is a far cry from travelling by road at home. Sure, you have been in traffic before, but nothing like what will face you in India’s mega-cities. Relentless horns echo through the streets, while you sit in the hot and humid conditions with buses, rickshaws, cows, people, scooters and other cars all inching themselves forward painfully into any more progressive position in the queue. It sounds like a dream holiday; a road trip through India, and it can be. But remember, even if you are planning on avoiding the cities during your holiday to India, the roads in the rural countryside are often a very poor condition. This said, having a car gives you freedom that you will struggle to find with any other form of transport. You are free to stop, stay and go where you want, meaning you are able to soak in your surroundings at your own pace. If you have experience of travelling by road in similar countries, or feel completely comfortable with the prospect, then the reward for dealing with the traffic jams can be immense. Like with a car, hiring a motorbike allows for unrivalled freedom. Riding in India on a hired bike is an adventure, there is no doubt about that. It does though come with a great big yellow hazard sign. The traffic and road quality make conditions difficult in a car and these issues are only enhanced on a motorbike. You are exposed, but isn’t that the reason why you ride? The feel of the warm sun on your skin, wind passing by you, tuning into your surroundings. 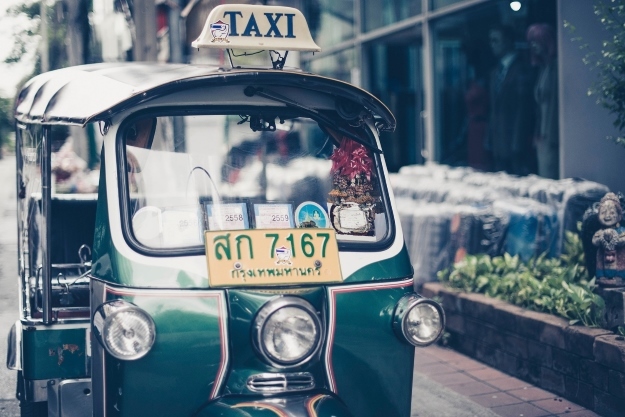 As you may have read in our guide to motorbikes in Southeast Asia, in which we raised the point of obtaining an International Driving Permit alongside your license at home. This will allow you to ride a bike overseas. You also need to get the right insurance and continue to dress appropriately. It might be uncomfortable at first, but wearing riding leathers or a jacket alongside a helmet should be non-negotiable. The sweat is a much better outcome than ugly injuries if you were to come off of your ride. Auto rickshaws of India are as an iconic sight as their cousins in Southeast Asia. The three-wheeled contraption is reminiscent of a trike with a small tin or canvas shed on the back. Often with open sides and back, the rickshaws whizz around the streets for a very cheap fee. Like taxis they have a rolling meter to cover the cost of your trip. However, you can haggle with the driver for the price before you depart to attempt and get a cheaper fare. That said, they are very reasonable, so you may not feel like you need to at all. By no means are these the best option for you if you have to travel for a long distance, however fun it is riding in them. Rickshaws, or tuk-tuks, thrive in the busy cities and town. Weaving past buses and larger vehicles, this is certainly the most thrilling way to get around India and something you should try at least once during your holiday. At Wendy Wu Tours, as well as escorted tours we also offer a tailormade service. That means you can create your very own Indian itinerary, incorporating any of the mode of transport above, without all the hassle of organising it yourself! We also, of course, do escorted tours throughout Asia. India adventure, top things to see, transport, travel. permalink.